On a cold December afternoon in Sichuan Province, Lian Jun, whose name has been altered to respect confidentiality, was taking the train to Xi’an. Police boarded the train to conduct an inspection. They discovered Lian carried 50 grams of methamphetamine on his person. He was arrested and charged with trafficking in illegal narcotics. The penalty for this crime in China can range from community surveillance and a fine to the death penalty. Twenty-six year old Lian is an indigent farmer from a rural village in Sichuan Province. His wife recently delivered a son, whom Lian must support, not an easy task with his junior high school education. Given his young family and the seriousness of the charges, his arrest was nothing short of calamitous. In addition, although the law permits legal aid, more than 80% of China’s criminally accused have no help from a lawyer. This is in part because attorneys are concentrated in major cities; lawyers in rural areas are scarce. It is also because many indigent defendants cannot afford to pay a lawyer; free legal aid is even scarcer. Lian did his best to cooperate. He underwent mandatory detoxification to get sober. He confessed to possessing the methamphetamine. But without a legal advocate by his side, his chances of getting a fair trial were bleak. Lian was fortunate. Earlier that year, IBJ orchestrated an agreement through which the prosecutor would refer indigent criminal defendants to a local law firm. Law firm attorneys trained by IBJ agreed to take these cases without charging the client. Under this program, Attorney Xi, whose name has been altered to protect her privacy, agreed to handle Lian’s case at no charge to Lian. 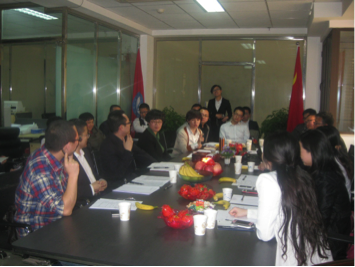 IBJ also hosts Lawyer’s Salons and roundtable discussion groups to enable defense lawyers like Xi to share best practices, brainstorm case strategies, and learn from one another. 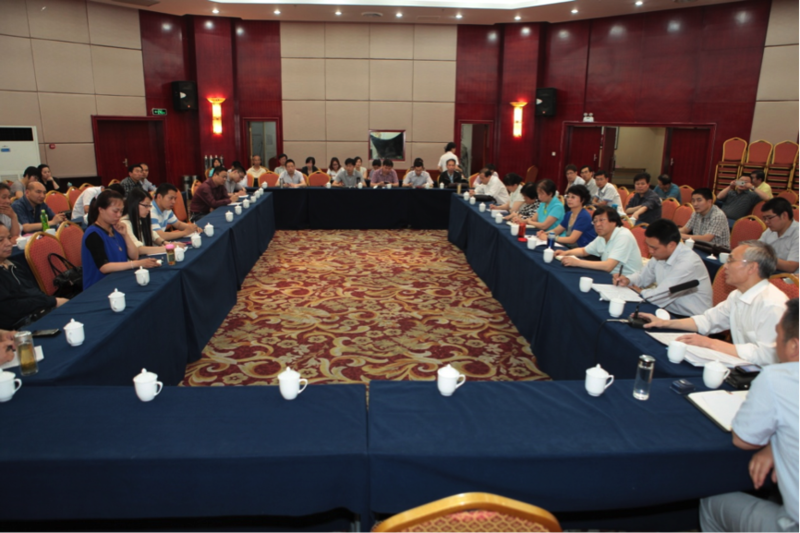 By Oct. 31st, 2013, over 2,696 justice sector professionals had participated in IBJ-China salon and roundtable events. Using case investigation and advocacy skills taught at IBJ training events, Xi scoured the case file to make sure she understood all facts thoroughly. She realized the evidence was lacking. The crime of trafficking required intent to sell. No facts in the case showed such intent. She argued to the prosecutor that based on the evidence, Lian could not be charged with trafficking, but merely with possession, a much less serious charge. Lian had been an addict who needed help, yes, but nothing supported the accusation that he was a smuggler or dealer. The prosecutor took a second look, a closer look, at the case and realized she was right. He sent the case back to the police for further investigation. Later, the police re-submitted the case to the prosecutor with the lesser charge of narcotics possession. Already, Xi’s advocacy had had a major impact on Lian’s life, but she wasn’t done yet. At the sentencing hearing for the possession charge, Xi argued there were several mitigating factors concerning the case, and about Lian as a person. Under Chinese law, the crime of drug possession for one’s own consumption is categorizes as a low societal impact crime, as compared to other offenses such as trafficking or crimes of serious violence. Moreover, Lian is a hard worker. He takes his social and financial responsibilities to his family seriously. Furthermore, he is a first time offender. These factors, she argued, required a reduced sentence under Chinese law. Again Xi’s no-nonsense, fact -based advocacy earned results. The judge adopted her opinion and sentenced Lian to a mitigated sentence of three years in jail. Three years is a long time, but compared to the high stakes, and the might-have-beens without Attorney Xi by his side, Lian says he is very grateful to his lawyer for her help. Because of her, he received a fair trial. He faced only those charges which the facts genuinely supported, and no more. His situation was fully described to the court. His lawyer successfully conveyed he is a person, who has made mistakes, but who has a future. A lesser sentence resulted. Now Lian knows when his young son is three or four years old, he will be there for him. Because of Attorney Xi, and the support of IBJ, he has a second chance to go home and be a father.